While many of the dishes on the menu reflect a genuine love of Sicilian cuisine, the extensive menu at Villari’s Lakeside Restaurant has a little bit of everything. Select from the freshest meat, fish, poultry, and even some vegetarian options. The Filet Sinatra is the most popular entrée and consists of a 10oz filet mignon topped shrimp, lump crab, and shitake mushrooms and cooked in a veal bourbon demi-glaze, it is a truly decadent experience. Jose Zhinin, the executive chef, has been with the restaurant for close to twenty years and since then has served countless dishes with the precise execution and flair of a true culinary artist. His is a true success story, starting out a dishwasher and eventually moving his way up to short orders, then banquets and eventually running the entire kitchen. He changes the menu at least once a year and no matter what you order, you are going to receive the fruits of his wealth of experience and talent. The main dining room is capable of seat approximate 85 guests while the bar area is capable of seating approximately 100 guests. To make a reservation at Villari’s Lakeside Restaurant, click here. 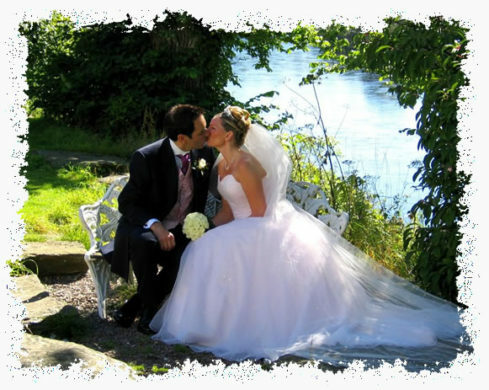 The outdoor wedding venue at Villari’s Lakeside is one of, if not the most, scenic venues available for a wedding ceremony in the area. A path lined with planted flowers leads down a beautiful white gazebo where vows are exchanged just in front of the stunning Sun Valley Lake. Many years ago this area belonged to a public camping ground where people from the city would go to escape the bustle of the busy streets. It was a beautiful get-away just minutes out of the city, that attracted people of all walks for years and years. The space still maintains this vibe of a verdant escape and it is just one of the things that make Villari’s a truly unique venue not just for weddings, but all forms of private parties. Most weddings begin with a hors d’oeuvres and cocktail in the tiki bar and patio area, followed by a breathtaking outdoor ceremony around the adorned gazebo and then moving inside the luxurious Strafford Room for dinner. Aside from the fabulous food and atmosphere the staff truly goes the extra mile to make sure every Wedding at Villari’s Lakeside is a flawless experience. The owner Joe Abate personally acts as the Mater Dei for every wedding, making sure everything runs smoothly. Patricia Ball who has been with the company for 17 years acts as the staff leader and given her extensive knowledge of the business, she is able to have every single member of the staff go the extra mile. Every Wedding package includes the DJ, beautiful centerpieces, and a wedding cake created by the famed Aversa’s Bakery. For more information about Villari’s Lakeside wedding packages, please call (856) 228.5244 or fill out our contact form. The Bridal Suite / Camino Room (camino is Italian for fireplace) is able to comfortable seat 45 guests, while the Strafford room is capable of holding 180-200. Regular and first time guests host every kind of private event, from bridal showers, baby showers, retirement dinners and lots of birthdays. The elegant Strafford room has its own built in state of the art sound system for a DJ, Live Band, or any sort of entertainment you wish to have at your event. The staff is extremely well practiced at hosting private events and go the extra mile to make sure every single guest is having an enjoyable and comfortable experience. The kitchen staff is also very seasoned at hosting large events, which ensures consistency weather hosting a party of four or two hundred. The staff also works closely with the host of every banquet or event to customize it to their need and desires. The menu (either buffet style or table service) can be customized as well as the place settings and even the lighting styles. This offers a versatility that few other restaurants can match. They are not stringent in any way, if it is possible for them to accommodate any type of special request, it is as good as done. For more information about Villari’s Lakeside banquets and events, please call (856) 228.5244. The Tiki Bar was opened in 1994 about 10 years after the restaurant originally opened. It offers an energetic and youthful atmosphere while you sip cocktail and dine on light far under the stars. The Tiki bar itself is decorated with a subtle island theme, with a large thatched roof bar in the center with 360 degree seating in the style of a tiki hut. The menu is slightly different and more geared towards appetizers and small plates, but still offers all the fantastic tastes and textures available anywhere else in the restaurant. You can also rock out to live music five nights a week at the Tiki Bar. Local acts such as Don’t Call Me Francis, Secret Service, Coast to Coast, Sensational Soul Cruisers, Goodman Fiske, South 47, Mischief Night, Shut Up Justice and Steve & Co DJ’s are regulars here, and always put on a great show. Happy hour specials are available every Monday through Friday from 4:00 pm – 7:00 pm. 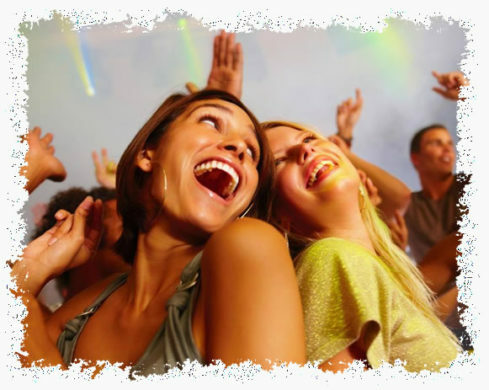 $2.00 14oz domestic drafts (selection of 8), $3.00 14oz imported drafts, $2.00 domestic beer bottles, $3.00 imported beer bottles, $4.00 craft beer bottles $4.00 house cocktails, $5.00 house martinis (selection of 14) and reduced prices on appetizers starting at $3.95 make it the Best Happy Hour in South Jersey!! The wonderful cuisine of Villari’s Lakeside is available to you and your guests anywhere in the South Jersey area. Off-site catering has been a part of the restaurant since its very opening, so everyone involved is very experienced and knowledgeable to make sure your event goes off without a hitch. 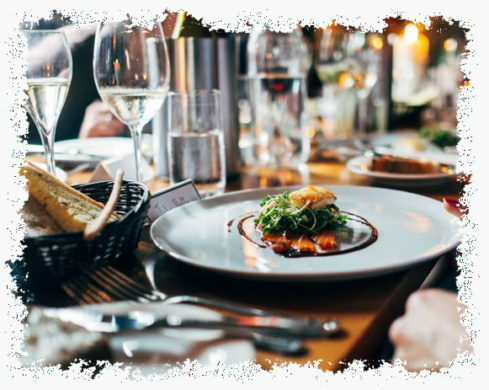 You can either request just the food or you can go the extra mile and hire the Villari’s staff as well to come and set up the plate ware, flatware and food so that you can just sit back and enjoy your party or event. 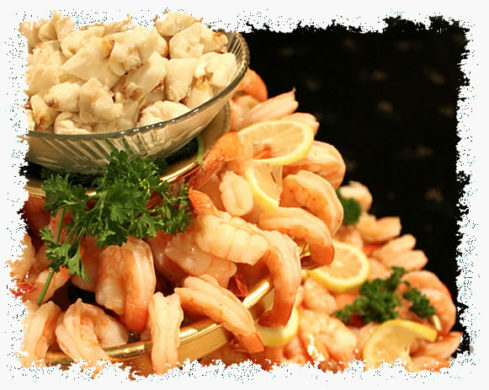 No matter how you choose to have Villari’s Lakeside cater your event, you will find out what many of the regular already knows, that nothing can compare to the combination of prompt and profession service and the outstanding cuisine. 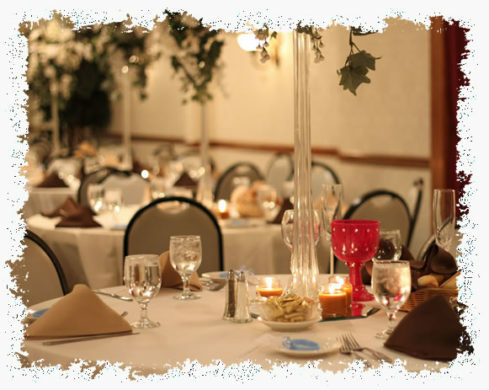 For more information about Villari’s Lakeside off-site catering, please call (856) 228.5244.